Not many crooks invest substantial amounts of money to support a failing football club for 14 years, and before you throw the asset stripping card on the table... when the 3 amigos took over the club, we were in administration, the best players had already left and the ground was owned by the council. But please enlighten me on how he is a crook, no doubt the crown prosecution services will be eagerly awaiting your evidence!!! 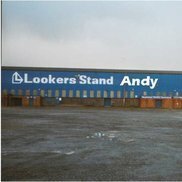 Semantics..... they took on the club, only on the proviso they got the land [at the same price the council bought it for, when it was likely worth more]..... they had looked at buying Hull City prior to Latics, but couldn't get the same assurances on Boothferry Park. But the fact still remain, they could have walked away from the club 14 years ago, and left the club in the same deep sh.t , that Chris Moore left it in i.e in administration with no assets. Likely worth more, now there’s an ambiguous statement ? Registered for 10 years, first post yesterday! Hmmm. Hi Si. So, what assetts have we got? Knowledgeable? It’s called research , simple to carry out , particularly as we now have a handy new tools like the internet and search engines , it certainly beats the blinkered the 3 amigos haters . I certainly don't hate them, they saved the club.....but if we had a crystal ball about what our best plans and how they would turn out. "When TTA took the club on from the administrator and we began with a clean slate, they got the land as part of the deal. Whilst they probably fancied their chances of playing at football ownership for a while - in the liquidity abundant times pre credit crunch - they always had their insurance policy to fall back on. It was therefore easy to see/understand their motives." In fact the club could not have been sold to Al without Blitz's permission with regards to the debentures secured against the 97% shares that Corney had. A year in, give or take, what are we thinking - were we better off under Corney or are we better off now under Lemsagam? Was "careful what you wish for" accurate? Are you p1ssing yourself watching this go off after you've kicked it off.....? We would have had more fun and success if we just went bust in 04 and did a Wimbledon. Not my place to enlighten. Soz. Should we be wary of somebody who has turned up from nowhere to apparently become are saviour?? AL has alledgedly ironed out the majority of our debts and for that he should be given some credit, on the flip side we now have a limited amount of staff at the club from the first team, office and to the juniors..I will always ask why would a sane minded person take over a football club where he would be throwing away his hard earned money without the possibility of ever recouping the same amount unless you unearth a Messi..
What were the motives of a foreigner coming to Oldham with an average fanbase of 4,000 and always languishing at the lower end of league one , in the shadow of the two prem clubs and locals preferring to cheer them on the TV..
We are currently watching the worst team i have seen in my 36 years supporting us.. The Tta before AL saved us at the last minute and kept us afloat and seemed to have the right intentions at first before it became clear they would be wanting to get their money back by selling land and then two of them walking away leaving Corney to deal with it.. I struggle to see why anyone would like to own a football club unless money was absolutely no object, it makes you question if there are alterior motives of owning our club if you dont invest..
All seems a bit dodgy to me and especially when Simon Blitz popped up at Fulham, is AL an aquitance of the tta...Just a thought.. Still not my place. Soz. Why don’t you throw koukash into the arguement and see how popular he would be now..